John Carrington was born in September 1945, in Epping, shortly after the end of World War II. His father worked for the GPO from 1921 to 1967, having left school at fourteen with the goal never to be unemployed as his father had been from time to time; he craved stability. John describes his childhood as happy, and his mother was ambitious for him. John failed his eleven plus and whilst his friends went off to grammar school, he went to the secondary modern, which he describes as fantastic. John now knows he is dyslectic not just a slow learner as he was called at the time. He was at the secondary modern school for a year before getting into grammar school. He studied for the Bachelor of Science in Economics degree at LSE, focusing on international history, but also studying economics, government, geography and various other subjects. John joined the GPO in 1967 as an Assistant Postal Controller Class 2. He was the director’s arm, eyes and ears among the head post offices in a region. Based in Waterloo Bridge House, he spent most of his time travelling around either Kent, or near Reading. The job involved monitoring and doing studies on the way in which the posts and counter services were organised. During his training he did the postman’s course, the sorting course, the counter course, as well as accounts, giving him a good understanding of how the organisation worked. The Post Office funded his Diploma in business administration (MBA) at Edinburgh University which he did between 1970 and 1971, writing his dissertation on productivity agreements within the South of Scotland Electricity Board. On his return to the Post Office, he was transferred into headquarters, devising the productivity agreements for both counter staff and postal staff. In 1973 John was promoted to Principle level. His responsibility was to look at the financial functioning of Post Office Counters which were bring transformed by the rapid expansion of the Girobank. As part of his role John helped to negotiate the agreement with the Treasury who decided what the PO counters would do, from issuing passports to payment of family benefits and how much government departments would pay for these services. His next post was as PA to the Chairman, Sir William Ryland who had started as a youth in training and worked his way up. He had seen work on both telecoms and postal sides of the GPO, so knew about the businesses in great detail, and therefore insisted that a wide range issues came through the Chairman’s Office. John believes this slowed the process of change. During this time the first international digital exchanges were introduced. The Post Office approached this new technology very cautiously after the issues with System X. After leaving the Office of the Chairman, John took his finance experience to telecommunications as Deputy Head of the finance function for Post Ofiice Telecommunications International, which was turning over about a billion pounds a year. After this he became Director of Commercial Strategy for the newly named British Telecom International in response to the plans of the new government in 1979 for competition in telecommunications. John’s role was to prepare the policy on the development of the business in a competitive environment. He could see that the development of commerce in the late part of the twentieth century depended on BT’s ability to serve customers with advanced digital telecommunications. The first service to enable this was introduced in 1981 and involved putting small satellite dishes on buildings to give them high-speed data connections. John started to learn about meeting customer needs, a change from being purely driven by the organisation in a monopoly market. 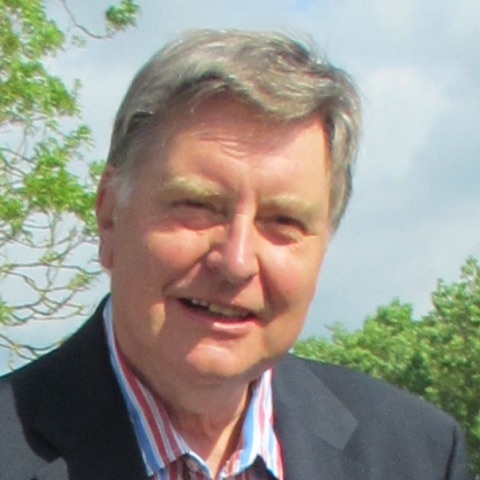 In 1983 John became founding Managing Director of Cellnet. The Government decided there would be a new competitive mobile phone service. There would be two network operators – BT would be one, and the other one would come through competitive bidding. The networks could not sell to customers but had to market through resellers. John started with his PA and a telephone in an office in the Euston Tower. The first task was to recruit a team, the second was to work with others and the DTI to determine what operating standard to use. The final task was to negotiate with a partner – Securicor -which would satisfy the Government’s requirement for BT not to operate alone. TACS – Total Access Communication System emerged as the UK standard cellular system. It followed on from the System 4, which was an in-car system sold by Ferranti, Marconi and others. These car phones cost over £3,000 and the network was at capacity with 7,000 customers. The first demonstration of TACS was in June 1984 when Cellnet provided a small system to satisfy the communications requirements of the G4 Summit in London involving Ronald Regan and Margaret Thatcher, commercial launch of the network was in early January 1985. John says he learned three things from the experience of the trial system. The first was that BT did not know how to run the project in a commercial environment. They had to find hundreds of radio cell sites, optimise them, build them and turn them on. Having done this with four or five cells for the 1984 Summit, he knew BT didn’t have the expertise. WS Atkins, experts in nuclear power station construction and building motorways were employed to help build an effective system. The resulting network was the first in the world designed to support hand-held mobile phones. The only manufacturer of these was Motorola, who also supplied the Cellnet network. They were called DynaTACs (and known as the brick). Everyone who saw them, wanted one says John who delighted in demonstrating them. BT was, however, nervous that the new cell phone business would take away from the core landline business. 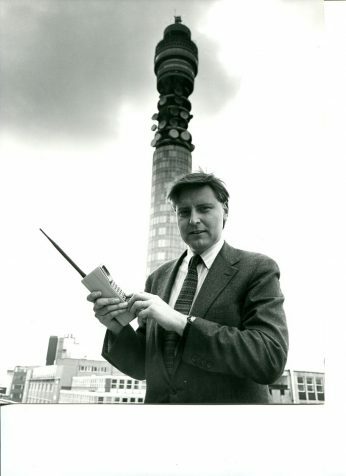 Cellnet was launched a week after the competition (Vodafone), because John wanted to be sure that the network was robust. Cellnet negotiated with about 40 organisations who would sell the mobiles onto the network. The resellers faxed in the units they had sold, and overnight they were added to the network at the central switch. Three weeks after the launch orders were arriving by the hundred, so it became a matter of satisfying the demand. The volumes exceeded all expectation and Cellnet quickly became the largest national network in the world. Later in 1985, John Carrington was promoted to the management board of BT Enterprises as Chief Executive, BT Mobile, whilst remaining on the Cellnet board. John’s role was to help Cellnet expand – which required more resources – and develop the other mobile products provided by BT. The network was owned by BT, and in the early 1990’s, BT took over Cellnet by buying out Securicor, creating BT Cellnet. After that it was floated on the stock market as O2 and later was bought by Telefonica. After the successful launch of Cellnet John met with his opposite numbers in Germany and France, where there were then no cellular networks. There had been discussions already in Europe in the pan-European body CEPT something called CEP, the group of post and telecommunications operators, about developing the next generation cellular which would be digital. TACS was an analogue standard. The Department of Trade and Industry had initially wanted to see TACS adopted by the French and the Germans. This was not likely for both political and industrial reasons. In the short time that Cellnet had been operating it had become clear that customers would not be satisfied with a system that stopped at Dover. John worked with the DTI, CEPT (the GSM working party) and industry representatives to bring about a technical and political solution to the market’s future needs. He loaned one of his best engineers, Bernard Mallinder, to the working group which was devising the standard. In 1987 an agreement was signed in Berlin between France, Germany, Italy and the UK to work together to create the next generation pan-European digital system. John was one of the signatories of this milestone agreement. Soon afterwards John was the first person to be invited to travel to Beijing to brief officials and industrial representatives on the advantage of the GSM standard. Within 6 years GSM had become the de facto world digital standard. John’s final job in BT was as President of BT Inc, based in New York. He was responsible for all BT’s operations in North America. Johns heart remained in cellular and so during the summer of 1989, after 22 years at BT, he was headhunted and joined Cable and Wireless (C&W) to head up their project bidding for a digital Personal Communications (PCS 1800) licence in the UK. John formed a team which bid for and won a licence. The Company was known as Mercury PCN. Soon after the arrival of Lord David Young as Chairman of C&W John was asked to move to form a new unit within the C&W Group focused on developing bids around the world for cellular operating licenses. The unit met with success and helped win licenses in, among other countries, Germany, Australia, Colombia and South Africa. In 1993 John was promoted to the C&W Management Board with responsibility for operations in 32 countries, including the Caribbean, Africa and Pakistan with 16,000 employees in the portfolio. In 1995, John left C&W to join his friend Mo Ibrahim at Mobile Systems International (MSI) as Group Managing Director. Mo had been head of radio planning at Cellnet from soon after it’s founding. John spent four years there developing the business and bringing in outside investors. Initially the company designed the radio part of second-generation digital cellular networks across the world. A software design tool was added to the consultancy service and a very successful business was the result. In some instances, instead of taking fees from clients for whom they were designing networks as part of a bid for a cellular network license, MSI took a percentage of their business in the event of a license being won. The cellular services and software business was split from the license holding entity and was sold to Marconi for £700 million. In 2003 the company with holdings in cellular operating companies around the world was sold for $3.4 billion to Kuwait Telecom. Since leaving MSI, John has developed a portfolio career, involved with a number of companies, mostly start-ups, helping them to develop and then find an exit. His experience at MSI gave him an understanding of the importance of quite simple computing aided technologies, including providing speech to text for doctors and hospitals. John realised early on that cellular was going to be successful and the doom-mongers were wrong. As early as 1988, BT developed a concept mobile phone which did more than make calls. It foreshadowed by over 20 years the idea of the smartphone. It had messaging, location-based information, using what we now call apps. He also considers realising the need for a pan-European system was a great success. Reflecting on his career, John particularly admires Mo Ibrahim of MSI and Bernard Mallinder, the technical director at Cellnet, but says he has learned from many different people, as it’s a group of people who achieve things. The visions held in the 80s and 90s have been exceeded. When mobile phones were launched, the money was made by the networks. Now the main profitability is in the apps. John believes that an area of future development is using the device you carry with you to monitor your health. John believes there is enormous opportunity in the IT sector.  He believes it’s about having an insight into the way in which your product can help satisfy customer need. John says don’t tell the customer about the technology, tell them what the product does for them.